What is Software-Defined Wide Area Network (SD-WAN)? SD-WAN is software-based network technology that delivers virtualized resources to wide area network connections over both ordinary broadband Internet and private links. Applying the concepts of software-defined networks to WANs, SD-WAN abstracts traffic management and monitoring from network hardware and applies them to individual applications. SD-WAN can more effectively route all network traffic between data centers, branch offices, and the cloud than traditional WAN routers. SD-WAN dynamically uses multiple available connections to find the best delivery path for traffic across the entire network, eliminating jitter and dropped data packets, to deliver an optimal user experience in even the most far-flung remote offices. SD-WAN is the application of software-based network technologies to WAN connections to provide high-performance, cost-effective access to cloud services, private data centers, and SaaS-based enterprise applications. SD-WAN solutions replace traditional WAN routers to provide dynamic, policy-based traffic delivery across many WAN connections. SD-WAN technology includes service gateways and orchestrators. Because SD-WAN is cloud-delivered and software-based, it allows for network agility, is easy to deploy, and enables central management and control. It also helps companies reduce the amount of WAN traffic on leased lines, shifting some of it to broadband Internet connections and cloud-based applications. With SD-WAN, companies can quickly add access to cloud services, set up a new remote office, and dynamically route all types of network traffic for optimized application and data delivery. SD-WAN allows for various deployment options, including complete cloud- or software based, hardware based, or a hybrid deployment. Also, a centrally-located orchestrator monitors all network activity to deliver real-time analytics and reporting as well as remotely remediate any issues. Many enterprises use WANs to connect branch offices to a variety of business-critical applications, including video-conferencing systems, ERP and CRM solutions, and more. 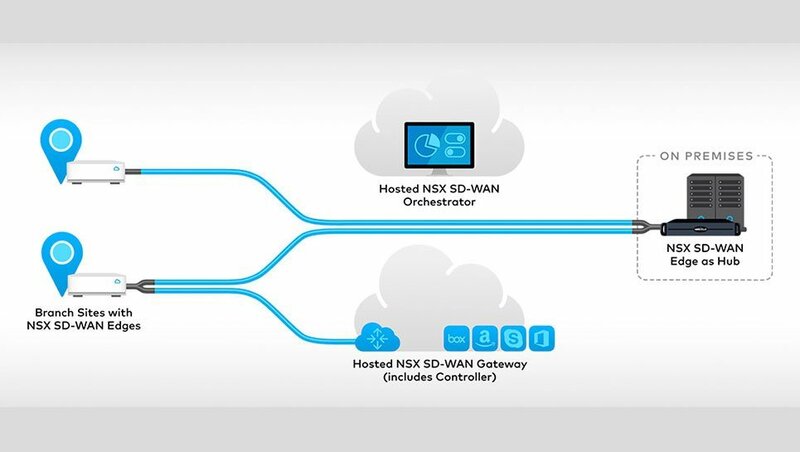 SD-WAN enables companies to create a hybrid WAN architecture that combines multiple MPLS, mobile, and broadband connections into a single, logical, virtualized application-delivery path that dynamically responds to network conditions. And, unlike with a traditional WAN, companies can avoid upgrading network bandwidth to meet the demands of additional cloud services.